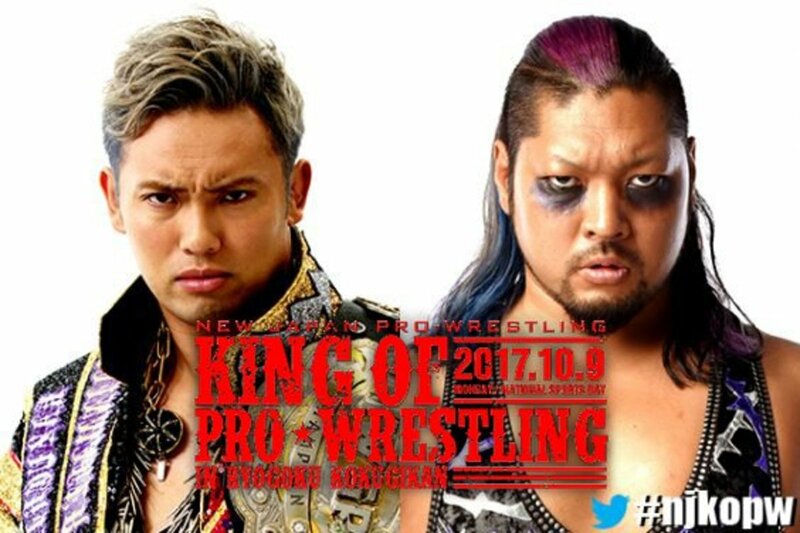 Sumo Hall will be home to four title matches as King of Pro Wrestling takes place on October 9th. Kazuchika Okada will defend the IWGP Heavyweight Championship against EVIL in the main event, which had been set up over the last couple of months following EVIL's big win over Okada during the G1. Other matches have KUSHIDA defending the Junior Heavyweight title against Will Ospreay, Tetsuya Naito defending the WrestleKingdom 12 briefcase against Tomohiro Ishii, and another three-way bout between new champions Killer Elite Squad, War Machine, and Guerrillas of Destiny for the IWGP Tag Team titles. Interestingly, despite being promoted during the Destruction tour, Hiroshi Tanahashi vs. Kota Ibushi isn’t taking place at this event. No date has been confimed yet, but it seems likely that this could headline Power Struggle on November 5th. Tanahashi & Togi Makabe will instead team up to take on Ibushi & Juice Robinson. New junior heavyweight tag team Roppongi 3K will also make their debut. They are the new team Rocky Romero promised he would bring to New Japan after Funky Future (Ryusuke Taguchi & Ricochet) successfully defended their titles against Taichi & Yoshinobu Kanemaru at Destruction in Hiroshima. NJPW didn’t identify who these two are, so the reveal might not take place until the show itself. Many of NJPW's current international talent will be working the show as well, with Zack Sabre Jr., Cody, and Marty Scurll all taking part in tag team matches. Toru Yano & Hirooki Goto vs. Minoru Suzuki & Zack Sabre Jr.